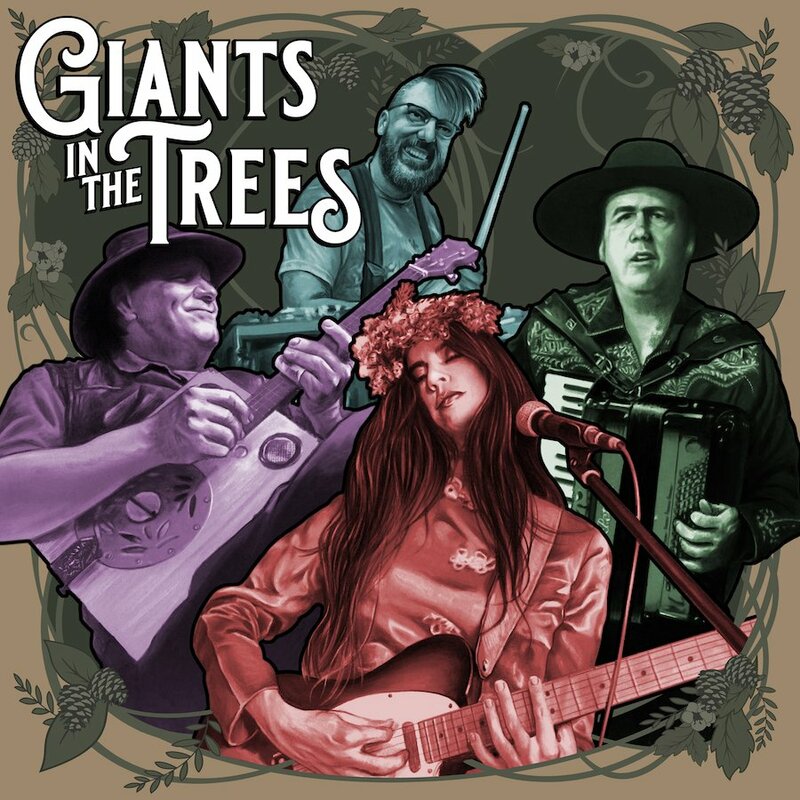 SPIN Krist Novoseli&cacute;'s New Band Giants in the Trees Releases First Song "Sasquatch"
Giants in the Trees are Jillian Raye, Erik Friend, Ray Prestegard and Krist Novoseli&cacute;, a new band from Washington State. However, they are not a Seattle band. The group is from Wahkiakum County - which, on the north shore of the Lower Columbia River, is closer to Portland Oregon than Seattle. That said, they do not consider themselves a Portland band either. This is a band's bio and not a lesson on geography so let's take at look at who makes the music in Giants in the Trees. Krist Novoseli&cacute; plays bass and accordion in the group. A founding member of the band Nirvana, Novoseli&cacute; helped change the face of music in 1991 with the release of Nevermind. Novoseli&cacute;'s strong and melodic bass helped make that one of the best known Rock records of all time. The success of Nirvana allowed Novoseli&cacute; to move to his home in Wahkiakum County in 1992. Krist loves the environment and culture of the Lower Columbia River. Novoseli&cacute; has played in a few bands since Nirvana, but Giants in the Trees is his first real local musical project. How did these locals come together? They all met at the Skamokawa Grange and, after an impromptu acoustic jam, made a call for another, albeit louder, session. Having the hall to themselves, Novoseli&cacute; joined musicians Ray Prestegard, Jillian Raye and Erik Friend in wasting no time. This group of players wrote two songs in the first two days of playing, Sasquatch and Center of the Earth. Feeling they were at home with each other, a new Rock band came together. 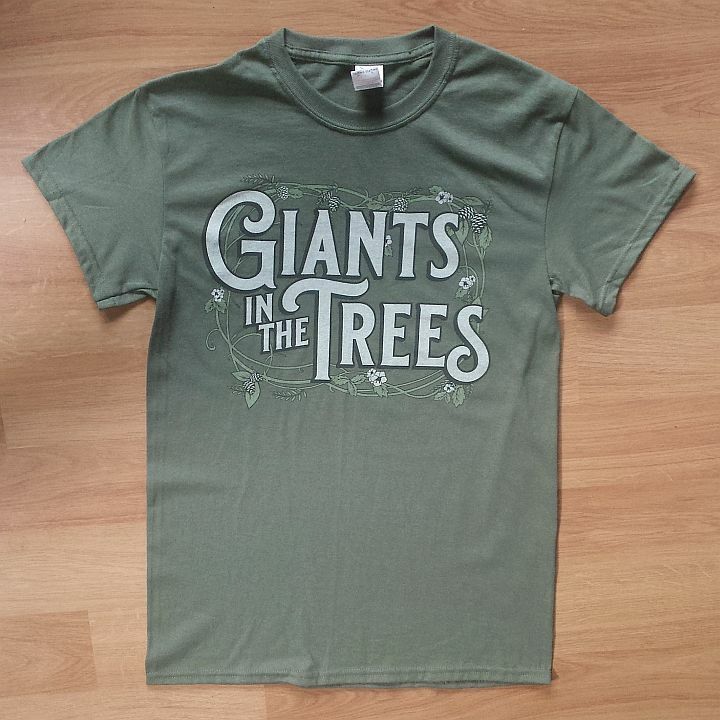 Giants in the Trees started playing live in the area. Their first show was a benefit for the old Grange hall. Ray Prestegard was born and raised on the Lower Columbia. He brings accomplished musicianship to the band with electric guitar, lap slide and box guitar. 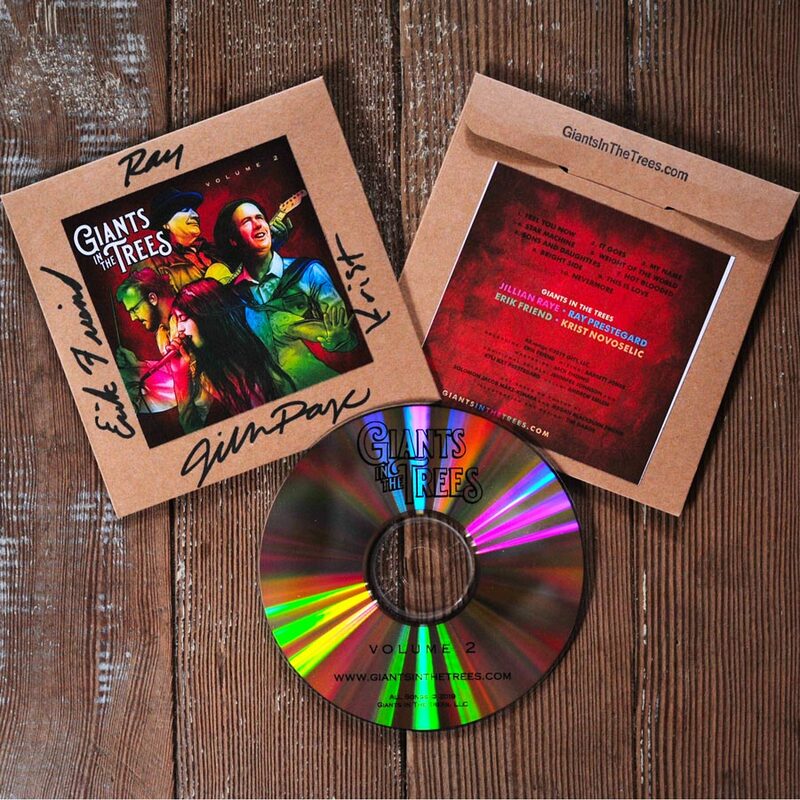 Jillian Raye does vocals, banjo and guitar for Giants in the Trees. Originally from California, Raye brings a keen sense of vocal phrasing to her strong singing style. She also created and performed all of the rich harmony vocals on the album. Erik Friend is also a former Californian. Moving to Seattle to work for Microsoft, Friend is a true techie. He too found his home, off the grid, in Wahkiakum. His musical talents go beyond percussion to include mandolin and other acoustic string instruments. He also recorded the band's album at the Murky Slough studio. 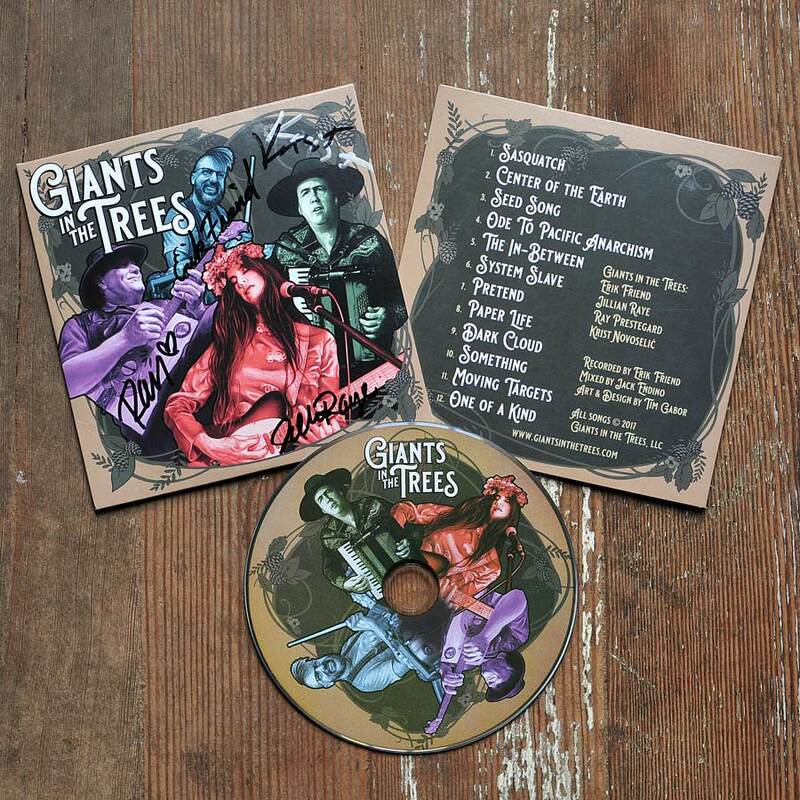 It took a year of playing, experimenting, and fun times for Giants in the Trees to compile their twelve-song record. There is definitely an Americana sound - it's fair to hear some classic Country with the banjo, slide and accordion. The band is not offended by the word schmaltz because with their recordings and live performances, the goal is to have as much fun as possible. There was no idea behind forming the band's sound. Rather, it comes together through the various musical skills individual members bring into the work. Novoseli&cacute; rocks the accordion and bass. Prestegard brings mastery of six and four string instruments. Raye plays six string banjo, does bass guitar duty, and drives the sound with top vocal chops. Friend loves to lay down a groove. It all comes together for an original sound. That is just the sound. The group really is a song band. Every tune on the record has its own personality. There are different sounds and rhythms, producing a real mixed bag of songs. One tune can have a waltz accordion and slide, while the next a heavy fuzz bass under a deep Electronica groove. There is melody from start to finish. This is just this writer trying to make an observation, however, there is nothing like listening to the music yourself. Giants in the Trees have built a sound around old-school Pop music. They follow musical traditions, while at the same time, have their feet firmly rooting in today. Again, the band is fun. There are so many melodies to really stomp your feet to. All the while, you can still sit back and just listen, and you really should! 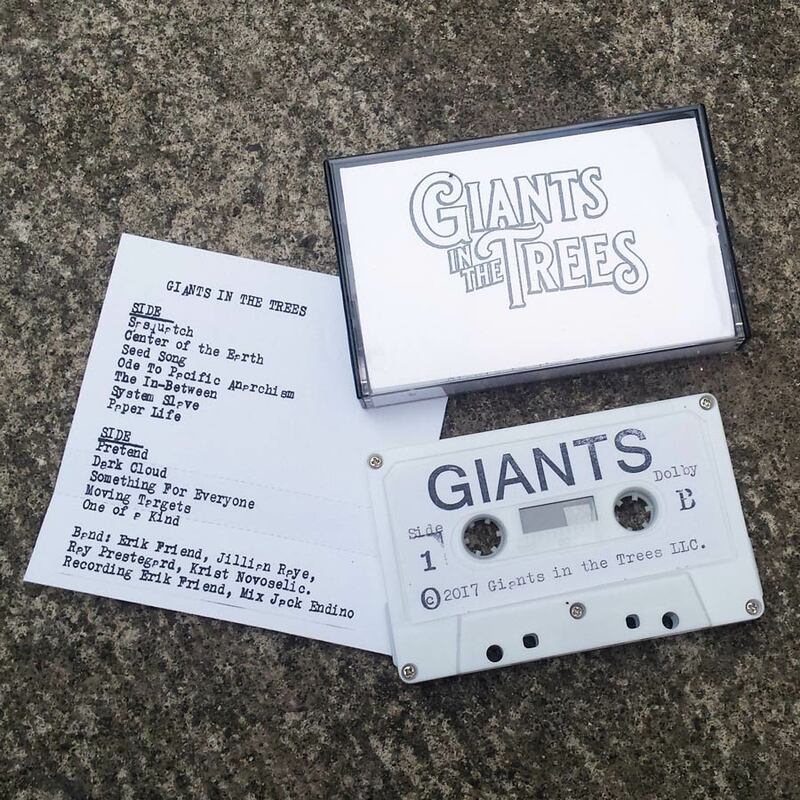 Currently, Giants in the Trees are playing shows in the Pacific Northwest of the United States. Their self-titled album is also self-released and available on your preferred online music service.